Harwich Lifeboat Museum had its origins early in 1993 when the Society heard that Cromer was looking for a home for a surplus lifeboat. A search party was immediately despatched to investigate. They found the “Valentine Wyndham Quinn” a 37ft long ex Clacton boat of 1968, looking somewhat forlorn on the windswept promenade, but they immediately said they would take it. A decision made without knowing how they would take it or where they would take it, but based on Society confidence that it could be done. 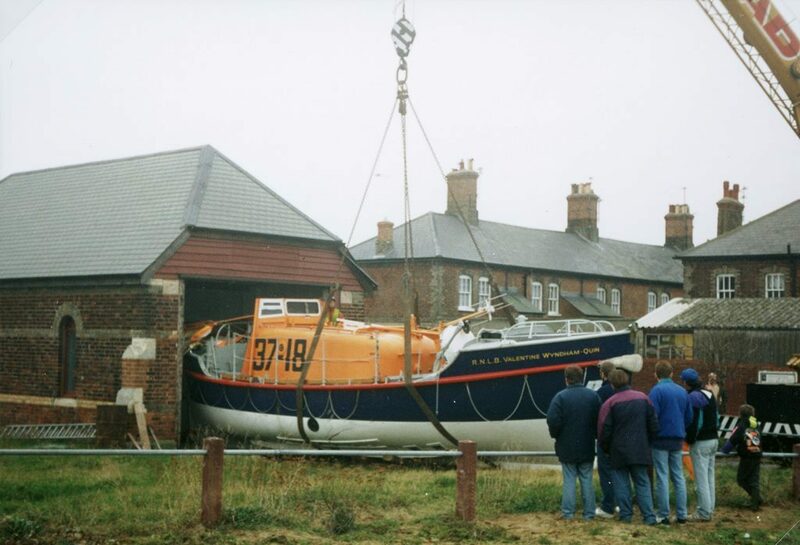 In April 1993 DFDS Transport offered to collect the 13 ton lifeboat as a “return empty load” and Navyard Wharf offered to store the boat in its container park until a permanent home could be found for it. A search of Old Harwich revealed the old lifeboat house of 1876 and further investigation revealed that it was empty and had not been used for 20 years. It was now owned by Essex County Council. When the Society applied for a lease the County Council replied that it had 99 imminent uses for the building. The support of Councillors, the MP and the Lord Lieutenant were necessary to wrestle the building from the tenacious council. 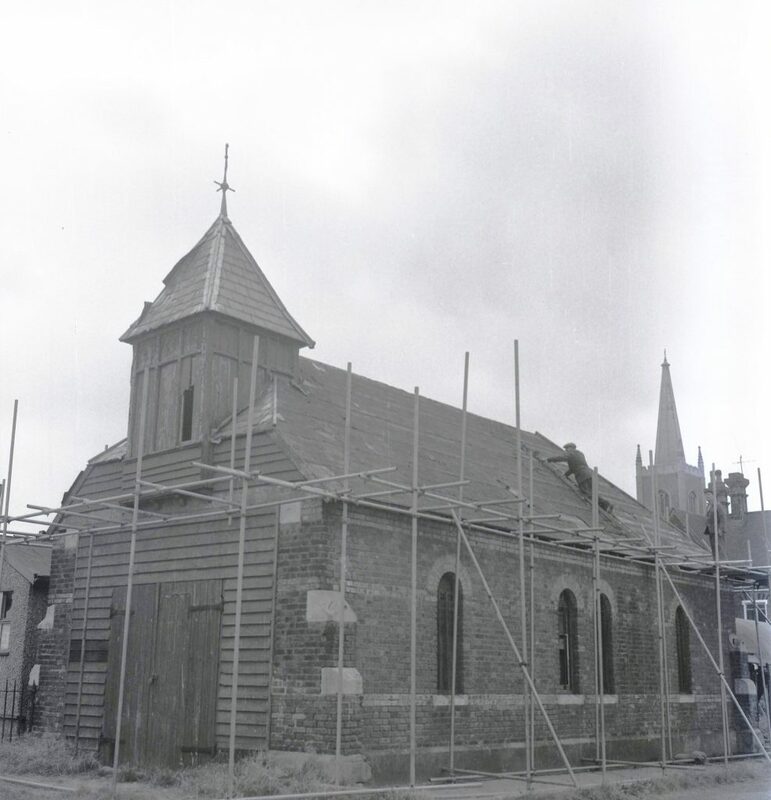 In December 1993 as soon as the lease of the building was agreed, the lifeboat was moved into the old lifeboat house now the embryo lifeboat museum, with the considerable help of a crane from Cadmans of a Colchester. The 1968 “Valentine Wyndham Quinn” is much bigger than the 1876 “Springwell” and so the wheelhouse and the mast had to be removed to get it into the house. Two teams of volunteers, the House Team led by Keith Chadwick and the Boat Team led by Alan Wakeling, worked on the project throughout the following winter and spring. The house was filthy, needed cleaning out, redecorating and fitting new electrics. The boat had been standing outside in all weathers for two years and had to be completely rubbed down and repainted, both outside and inside. The teams had to work to a timetable so that only one team was working on any one day, to prevent dust from one activity sticking to the paintwork of the other team. Both the lifeboat and the lifeboat house were sparkling for the opening day of the museum on the first day of the 1994 Harwich Festival. Inside the house a walkway has been constructed to provide an overview and a walk through the wheelhouse of the Oakley Class lifeboat “Valentine Wyndham Quinn”. In addition on the walls the original boards list the history of the lifeboats in Harwich since 1876 and there are many photographs and models of lifeboats from earliest times to the present. A video presentation adds a touch of realism of what real life rescues are like, in fearful conditions. There is a small shop for RNLI souvenirs. Visitors to the museum have a rare ‘hands on’ opportunity to see a lifeboat at close quarters. The City of Leicester is an RNLI boarding boat which served the Walton Lifeboat Station from 1932 until 1985. 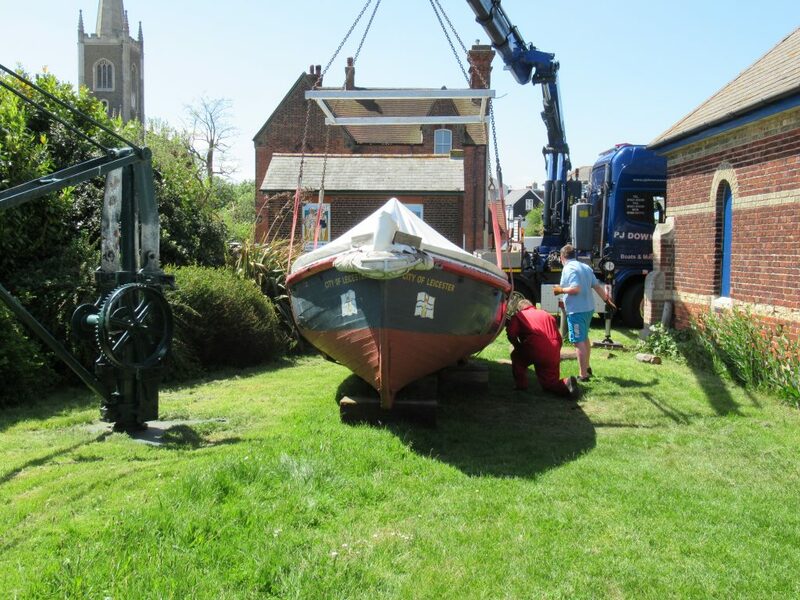 It was on show at the Walton Maritime Museum before travelling by road to its new home outside the Lifeboat Museum. Ken Brand, curator, said: “The City of Leicester was built on the River Colne in 1931 and served the Walton Lifeboat Station for over 40 years. 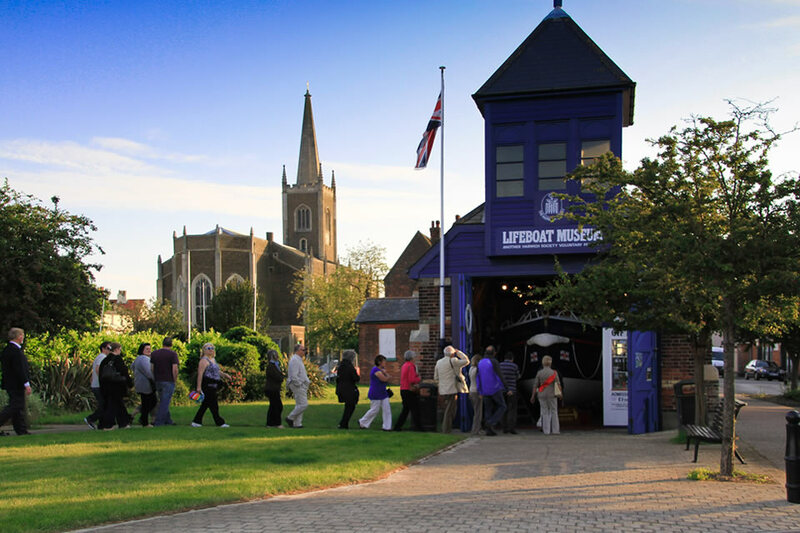 Colin Farnell, chairman of the Harwich Society, said: “The RNLI is so important to Harwich and we are very proud to operate our lifeboat museum to ensure that its history and connection to our town is maintained. The history of lifeboats in Harwich is explained on a series of story boards and many artefacts relating to the RNLI. By Road: A120 to Harwich Quay then right into Kings Quay Street, left into Wellington Road. Accessible by Public Transport: 0 miles from Harwich Town station. Opening Times: 1st May 2019 until 31st August from 11.00 to 3.00pm Wednesday to Sunday. Admission costs: £1 accompanied children go free.